The 2013 Napa Valley Cabernet Sauvignons and Cabernet-based reds continue to impress with a combination of richness and energy that is compelling. Although it is still quite early, the best 2013s are viscerally thrilling wines full of potential. One of the things I enjoy most is following wines along their entire arc of development, from the vineyard to the bottle and then many years beyond in retrospective tastings. A few years ago I started visiting Napa Valley in the spring, as I wanted to get an early look at the prior year’s vintage. Unlike Bordeaux, where blends are put together by April for en primeur, in Napa Valley virtually none of the wines are blended by the spring. Many have not even been racked. 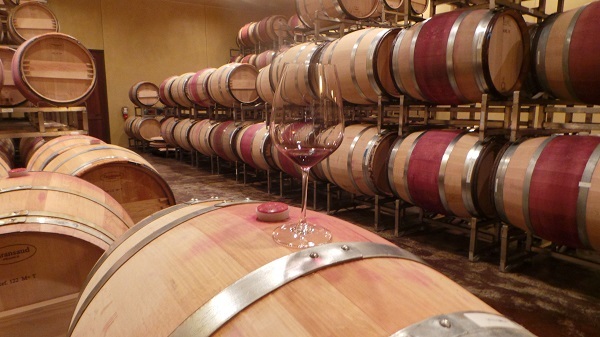 Wines can be tasted from barrel in their separate components, variety by variety and often block by block. These tastings provide a level of insight that I find invaluable in making later assessments about vintages and specific wines. What follows are general notes on the 2013 vintage based on barrel tastings done in April, 2014. I spent several weeks in Napa Valley during the 2013 harvest. The growing season was characterized by drought-like conditions and warm weather throughout the year. Harvest was early, but then two small, unexpected rain events relaxed things into mid-October at a number of estates. In most places, yields were lower than 2012, which was obvious and easy to observe just by spending time in the vineyards. The berry size was especially small in 2013. Most growers attribute the small berry size to warm weather and lack of rain in late May and early June, adding that irrigation compensated only to a small degree. Small berries mean high skin to juice ratios, which is generally favorable for intensity of flavor and structure. One of the unique attributes of the year is that even though the grapes were concentrated, the fruit retained good acidity and structure. 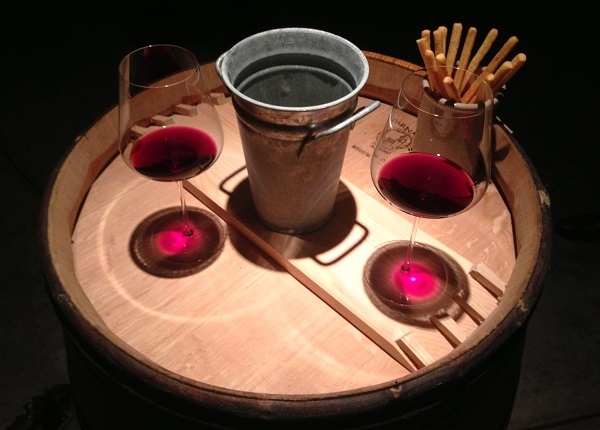 The 2013s are deeply colored wines with superb depth and plenty of acidity to match. My first impression is that 2013 is shaping up to be more complex and interesting than 2012, a year with high yields and more than a few wines that are lacking in concentration and depth. For more on 2013 growing season and harvest, readers might enjoy videos shot at Beaulieu Vineyard, Bevan, Colgin, Futo, Hourglass, Kapcsandy, Kongsgaard, Robert Mondavi, Montelena, Opus One, Ovid, Pahlmeyer, Joseph Phelps, Screaming Eagle, Spottswoode, and Turley last fall. Effortless. That is what comes to mind when I think of Abreu. Winemaker Brad Grimes is a natural, like the kid you went to high school with who never studied yet got the best grades. Everything is intuitive. This is the only cellar in Napa Valley I know of where wines in barrel are subdivided by lots that correspond to pick dates. Fruit is harvested when it is ripe, regardless of variety, which means all of the lots are co-fermentations. Not surprisingly, co-fermentation is an approach that is beginning to gain traction in other cellars as well. The early blending of grapes allows for an amalgamation of flavors and textures that is quite different from what is achievable through blending later, although naturally that comes at the expense of flexibility. In the 2013 vintage there are a total of 17 separate picks, all of which I was able to sample. We start with Cappella, always the most open and supple of the Abreu wines. I particularly like the lots with high percentages of Cabernet Franc and Petit Verdot. There are seven picks of Madrona Ranch, each of them incredibly distinctive. Here, too, Cabernet Franc and Petit Verdot play important roles. In my opinion, the Howell Mountain is the most improved wine at Abreu. There is a level of richness here that is not found in the other Abreu wines. Specifically, the lots with a high percentage of Malbec are magnificent. Thorevilos is the most structured wine in the range. As we move through a series of four picks the tannins become nearly buried by the sheer richness of the fruit. So far, 2013 is shaping up to be an epic vintage at Abreu. Proprietors Claude and Katherine Blankiet have an eye for aesthetics that is evident throughout their property. The art collection alone is incredible. But Blankiet is more than just Napa Valley glamor. Blankiet is just as committed to offering consumers an affordable, entry-level wine, Prince of Hearts, which is one of the very best values in the valley today. That same attention to detail carries over to the pristine cellar, where nothing is overlooked. Trying to get a better, clearer understanding of the role of cooperage is a lifetime’s study. I spent several hours tasting multiple lots of the same wines from different barrels with Claude Blankiet and Winemakers Denis and May-Britt Malbec, a fascinating and insightful exercise, to say the least. Suffice it to say the 2013s at Blankiet are shaping up to be terrific. The 2012s, which I also tasted from barrel, are quite pretty, supple and layered, in other words very much in the style of the year. I also had a chance to revisit the 2010s and 2011s. The 2010s are full of potential, but closed today and should be cellared for at least another year or two. In 2011, both the Prince of Hearts and Proprietary Red are huge overachievers. It’s always an education to taste the BOND wines straight out of barrel, as the personalities of the five single vineyards are in some ways most transparent when the wines are at this very early stage of their lives. Winemaker Cory Empting gave the 2013s 30-40 days on the skins, which is on the long side. The wines had not been racked yet when I tasted them. The 2013s are striking. As is often the case, I find the St. Eden compelling for the purity of its fruit and overall voluptuousness. The Vecina, another personal favorite, introduces more mineral and savory-inflected notes. My impression is that over the last few years the Pluribus is the wine that has changed the most, as the mountain tannins seem to have acquired a level of polish I don’t recall always seeing in the past. I also had a chance to taste all of the 2012s from barrel. The 2012s are showing beautifully today. While I don’t think the 2012s will reach the level of the stratospheric 2010s or the hugely promising 2013s, they will deliver more pleasure and joy earlier than either of those two vintages. Casa Piena is another small estate that is continuing to step up quality. The property is owned by Carmen Policy, while Thomas Rivers-Brown makes the wines. Tasted from barrel, Casa Piena’s 2013 Cabernet Sauvignon offers plenty of potential in a layered, opulent style. The wines off this site have always showed quite a bit of character and personality, which is remarkable considering that in 2013 the vines were just ten years old. It is always fascinating to taste wines from barrel with Ann Colgin, her husband Joe Wender and their Winemaker Alison Tauziet. In addition to her own Tychson Hill and IX Estate, Colgin sources fruit from a number of David Abreu's properties, which makes for some pretty interesting comparative tastings in the cellar. Two lots of Cabernet Sauvignons from Tychson Hill are both highly expressive. The second wine, which emerges from a more recently developed parcel on the upper slope of Tychson, is co-fermented with dollops of Cabernet Franc and Petit Verdot. Here the interplay of textures and flavors is utterly compelling. We move on to the wines from David Abreu’s properties. A Cabernet Sauvignon/Cabernet Franc from the Lucia Abreu vineyard on Howell Mountain is dazzling. Two Cabernets from Madrona Ranch are both incredibly distinctive. Coincidentally, I walked that site just a few hours after the fruit was picked. The wines from IX Estate on Pritchard Hill are all their own. Merlot shows distinct ferrous and mineral notes, while two lots of 337 Cabernet Sauvignon boast incredible perfume and pure texture. And then there is the Syrah, which finds magnificent dimensions of expression on these steep, mountain vineyards. For more on the 2013 vintage, readers might enjoy this video I shot with Tauziet last fall. I have been drinking Cathy Corison’s Cabernets since the mid 1990s, but this is the first time I have tasted the wines from barrel as such an early stage. It is fascinating to taste the vineyards that go into the Napa Valley Cabernet Sauvignon separately. In particular, the 2013 Cabernet from Hayne is compelling for the striking purity of its fruit. Some of the other benchland sites display more ferrous, mineral notes that add complexity to the blend. Kronos, is well, Kronos. This parcel of head-trained vines on St. George rootstock yields complete, layered wines endowed with expressive perfume, voluptuous fruit and fabulous overall balance, all elements that are found in the 2013 from barrel. I can’t think of too many properties that have been on a roll like Dalla Valle has over the last few years. With each passing vintage the wines seem to keep getting better and better. Proprietor Naoko Dalla Valle has endured more than most, starting with the loss of her husband, Gustav, in 1995, to a devastating series of vine diseases that resulted in a complete re-planting of her estate, one of the most pristine sites in Oakville. For her patience, perseverance and dedication to the land, Dalla Valle has been rewarded with a number of fabulous wines, the best of which are truly stratospheric. Winemaker Andy Erickson deserves quite a bit of credit as well for helping shepherd the property through a challenging period during which Dalla Valle has been reborn. In 2013, Erickson opted for shorter macerations than normal, as the extractions of color, fruit and tannin were fast and relatively easy. Dalla Valle is always one of the later properties to blend and bottle, especially true of the flagship Maya. I tasted two 2013s, both from the Maya blocks, that had been racked about three weeks before my visit. The Cabernet Franc here is always superb, but its quality is never more obvious than when it is tasted like this, alone. Cabernet Sauvignon is equally magnificent, explosive and intense to the core. During this visit I also tasted the 1999 Cabernet Sauvignon from the Maya blocks, a superb and very rare wine Dalla Valle made only once for a charity auction. There is clearly something totally alluring about this land, whether it is expressed through Cabernet Franc or Cabernet Sauvignon. As for the 2012s, well, they are shaping up to be gems. I was fortunate this year to stop by Dominus before the blends had been assembled, so I had the opportunity to taste the 2013s variety by variety with Christian Moueix and Winemaker Tod Mostero. The harvest took place between September 9 and 26, quite early by Dominus standards. Like many Napa Valley winemakers, Mostero identifies the lack of late-season heat spikes as one of the signatures of the year. 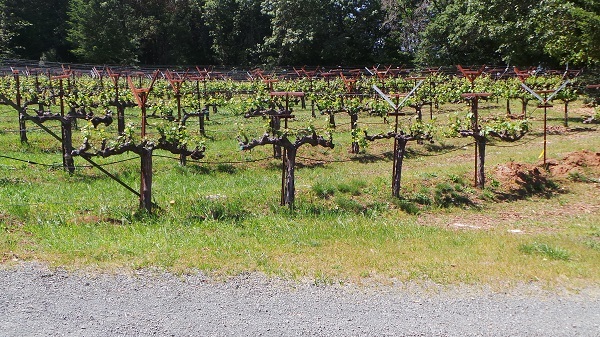 Mouiex is one of the most outspoken critics of irrigation in Napa Valley, a position that by definition places extreme importance on the age of vineyards. That is evident in two Cabernet Francs in this tasting. The first, from vines planted in 1994, is terrific, while the second, from vines planted in 2010 is much more bombastic and less finessed. Both Petit Verdots are insanely beautiful. Of course Petit Verdot is a blender, but one has to wonder what happens with the leftover juice after the blends for Dominus and Napanook are created. The four Cabernet Sauvignons are all distinctive. Block 7 A/B boasts exotic aromatics and a feminine, sleek personality. Block 24N is much more explosive, but it is Block 6N, where the oldest vines on the property are planted, that is the most impressive. Here the sensation of tannin is totally covered by the pure depth and resonance of the fruit. There is a lot to look forward to at Dominus. I tasted a wide range of 2013s from barrel with Tom Futo and Winemaker Jason Exposto when I stopped by a few weeks ago. The first Merlots were brought in on August 28, while the Cabernets followed from September 9 to 23, all on the early side for the year. None of the 2013s had been racked at the time of this tasting. Futo’s new Stags’ Leap Cabernet Sauvignon continues to improve. The Merlot and four lots of Cabernet in this tasting are all loaded with personality. Exposto opted for gentle fermentations, as the fruit and tannin extracted easily and he did not want to overdo things, a view I heard often with regards to the 2013s. The best lots of Stags’ Leap Cabernet have incredibly appealing dark blue/purple fruit allied to graphite-infused mineral notes and savory overtones. Three lots of Cabernet Sauvignon from the Oakville property are all impressive. This property has always excelled with Cabernet Franc, so it is hardly surprising to see two Cabernet Franc/Petit Verdot co-ferments showing so beautifully. Readers might enjoy this video with Futo and Exposto shot just after my tasting last fall, when some of these wines were already dry. Tom Thornton and Brenda Mixson’s property sits at the northern edge of Calistoga, near Jericho Canyon. Thomas Rivers-Brown took over winemaking in 2012, but 2013 is the first vintage he and his team have overseen farming and winemaking from the beginning of the year through the harvest. 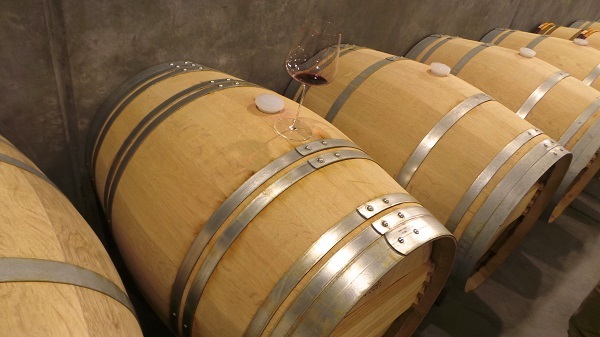 Tasted from barrel, the 2013 Cabernet Sauvignon is terrific, and most importantly, full of promise. The Grade is going to be a fascinating project to follow over the coming years, and hopefully, beyond. I could spend all day in the cellar at Harlan Estate just trying to get a better sense of the property, what has been planted, when and why. A sample of 2013 Cabernet Sauvignon from one of the oldest remaining blocks on the property planted with the Phelps Backus clone, is all about texture, breadth and volume. A second Cabernet, from a combination of Inglenook, Backus and Heitz Martha’s clones, captivates all of the senses with its sheer beauty and depth. I also tasted the 2012 Harlan Estate from barrel, but it seemed a bit shy from its recent blending and not in the mood to reveal much at this stage, something I saw in a few other wines as well. Harris Estate’s Cabernet Sauvignon Treva’s Vineyard can often be fierce when it is young, but in 2013 the tannins are impeccably balanced by the sheer intensity and voluptuousness of the fruit. This barrel sample is impressive. Hopefully it is also indicative of the overall quality of the year here. Winemaker Thomas Rivers-Brown and his crew are doing some pretty amazing work here. Cameron and Bahaneh Hobel’s Cabernet Sauvignon emerges from the Engelhard Vineyard, which sits on the lower slopes of Diamond Mountain in Calistoga. Thomas Rivers-Brown is the winemaker. Hobel’s 2013 Cabernet Sauvignon presents a gorgeous balance between the deep, rich style of and more savory, mineral-driven notes that are typical of this site on Franz School Road. 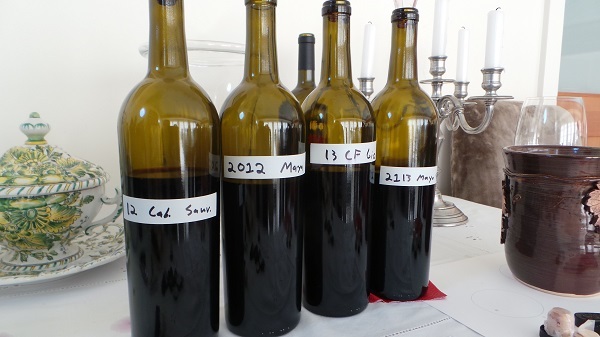 At the time of my visit, Lou Kapcsandy and winemaker Denis Malbec were still in the process of creating their 2013 pre-blends, as the malos were slower to finish than normal. The 2013 Grand Vin is 100% Cabernet Sauvignon at this stage, although eventually there may be dollops of other grapes in the final blend. All of the explosiveness, tension and power of the year comes through in a super-exciting, structured wine endowed with energy and class. Much the same is true of the 2013 Roberta’s Reserve Merlot, a wine that boasts magnificent richness and vibrancy. I can hardly wait to taste the 2013s again in the fall. Kapcsandy fans will want to be on the lookout for a series of gorgeous, small production still whites that pay homage to Kapcsandy’s Hungarian roots. The three 2013 whites are Furmint, Muscat Blanc and Hárslevelü. Of the three, I prefer the Furmint, followed closely by the Hárslevelü and then the Muscat Blanc. At $30 a bottle, all three wines are a steal. For more on the 2013 growing season and the the new whites, readers might want to revisit this video shot at the tail end of the harvest. Lastly, the 2012 reds are shaping up beautifully. The 2012s are silky and polished. Whether or not they will ultimately turn out to be viscerally thrilling as the very best vintages here is still an open question. Outpost has been on a roll in recent years. The wines keep getting better and better as the team lead by proprietors Frank and Kathy Dotzler and winemaker Thomas Rivers-Brown fine-tunes their approach. These wines once again highlight just how unique Howell Mountain is within the broader context of Napa Valley. While harvest was quite early elsewhere, things didn’t wrap up here until October 23, when the True Cabernet Sauvignon was brought in. Both 2013 Cabernet Sauvignons are impressive. Outpost’s Immigrant, a Cabernet Sauvignon/Merlot/Cabernet Franc blend made from co-fermented fruit features a little more Merlot and less Franc than previous years, a decision made to soften some of the contours in the wine. It, too, is hugely promising. It’s great to be back at Ovid. I tasted some of the 2013s from tank last fall, just as the wines were finishing their sugars, so it’s interesting to see where the wines are now, six months later. For more perspective, readers might enjoy looking back at the 2013 harvest at Ovid in this video we shot last fall. Proprietor Dana Johnson and Winemaker Austin Peterson show two Cabernet Francs; the first done in oak, the second in concrete. Both are gorgeous. Cabernet Franc does so well up here on Pritchard Hill. The first wine, the Franc done in oak, is pure tension and power. A spicier profile and more forward fruit are the signatures of the Franc done in concrete. 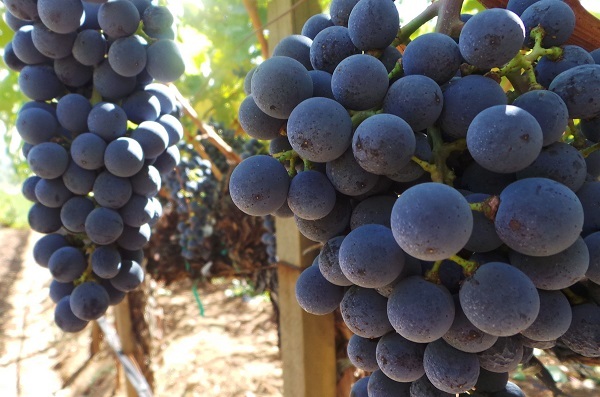 Clone 4 Cabernet Sauvignon emphasizes power and minerality, with plenty of savory overtones, while the Clone 337 Cabernet Sauvignon is more sumptuous in texture, but with less of the overt aromatics often found in 337 Cabernets. Two 2012 base blends are striking. The 2012 Ovid is rich, dense and powerful. Today, it looks like one of the high points of the year, the 2012 Syrah, which is nearly impossible to find, is explosive and resonant from the very first taste. I have been deeply impressed with Phelps, especially over the last few years, as the winery has moved to estate-grown fruit for their flagship wines. The 2013s, which I tasted with Head of Winemaking Damian Parker and Winemaker Ashley Hepworth, are shaping up to be real beauties. The harvest started on September 2013 and lasted four weeks. As opposed to 2012, there were no late season heat spikes in 2013. Like many of her colleagues, Hepworth opted for gentler extractions by employing lower temperatures in fermentation, fewer pump overs and slightly less time on the skins overall. For more perspective, readers might enjoy this short video I shot with Hepworth during the harvest. I also tasted the 2012s, which are sure to be crowd pleasers, even if a comparison between 2012 and 2013 makes it quite clear what the relative merits are of both vintages. A deep, inky wine, the 2013 Cabernet Sauvignon is a drop-dead gorgeous beauty. Black cherry compote, cassis, crushed rocks, mint and white flowers hit the palate in this sumptuous, impeccable wine. In 2013, Insignia has a higher percentage of Stags’ Leap fruit than is often the case, which means it will almost certainly take a bit longer in bottle to fully come together. Its potential, though, is both significant and evident. Another superb wine, the 2013 Cabernet Sauvignon Backus wraps around the palate with gorgeous finesse and pure texture. The tannins are present, but they are nearly buried by the sheer intensity of the fruit. It is amazing to see the progress Bill Harlan and his team have made at Promontory over the last few years. Harlan brought in renowned soil scientist Claude Bourgignon to help restore the soils to a more healthy balance. Given the culture of introspection, analysis and thoughtfulness Bill Harlan has instilled among his team, I would not be surprised if some of the lessons learned at Promontory are also incorporated at Harlan Estate and BOND, where experimentation is far riskier given the high profile of those properties and wines. In particular, it will be interesting to follow views on irrigation as they develop over the coming years at all the Harlan properties. One of the important issues at Promontory – perhaps the most important – is managing tannin, which can be incisive and piercing. With each passing vintage, though, that seems to be less of an issue. I tasted four 2013 Cabernet Sauvignons off the property, all of which capture the essence of these rugged hillside vineyards and the vintage. According to Winemaker Cory Empting the cold winery where Promontory is currently made contributed to long malolactic fermentations. At the time of this tasting, in April 2014, malos were 95% completed at Harlan Estate and about 60% finished at Promontory. Still, I found the 2013s impressive. The most beautiful of the wines is the second wine, which emerges from one of the cooler, isolated sites on the ranch with volcanic, basaltic soils. This unique site could very well produce a single-parcel wine in the future. Savory and graphite-inflected notes wrap around a core of intense, deep fruit in a wine with huge potential. The third Cabernet, from a high-altitude parcel planted on a mix of volcanic and sedimentary soils, is super-intense, deep, compact and hugely intriguing. Firm, incisive tannins and expressive aromatics burst from the glass in the fourth wine, a Cabernet Sauvignon with tons of intrigue and complexity. The 2012 Promontory is the last wine of the tasting. 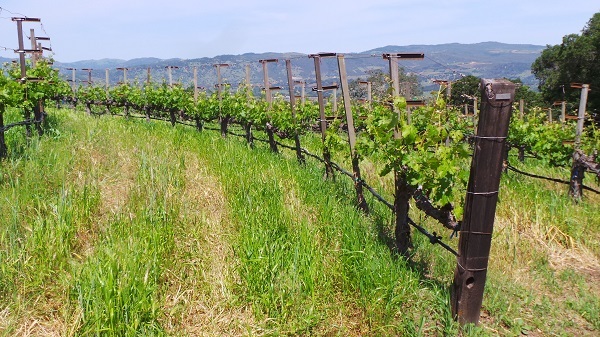 Young wines from this hillside property have typically shown much more biting, focused tannin, but the super-finessed 2012 appears to have a very bright future. According to Proprietor Thomas Rivers-Brown the key attribute to 2013 is a growing season with an extended period of 90+ days, but no heat spikes. Brown reported that malos were slow to finish in 2013. Unfortunately I was only able to taste two 2013s from Rivers-Marie, but both are new and likely to be bottled as vineyard designates. 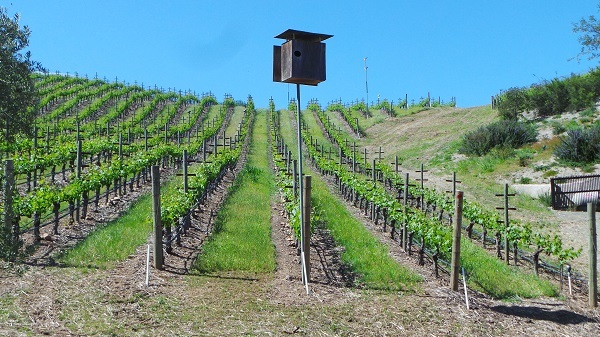 Lore Vineyard (formerly Oakville Terraces), is a steep site on the western edge of Oakville. The 2013 is an ample, resonant Cabernet Sauvignon built on pure volume and breadth that shows the natural concentration from thick-skinned grape with very little juice, something that is typical of the vintage. Rivers-Marie fans can also look forward to a new Cabernet Sauvignon from Larkmead, one of the most historic and renowned vineyards in the valley. The 2013 is beautifully layered in the glass, with impeccable balance, nuance and delineation. 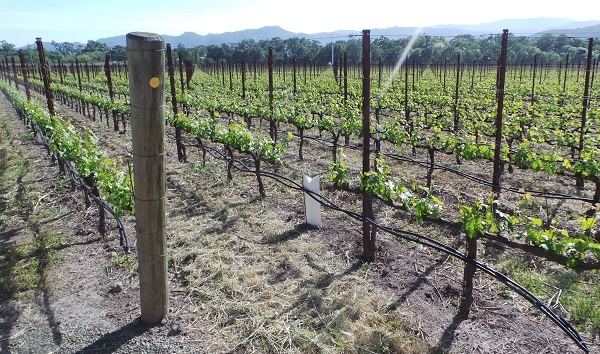 More recently, Brown has taken over one of the best Petite Sirah parcels in Denis Sutro’s Palisades Vineyard for his new project with Outpost’s Frank Dotzler. It will be interesting to see what Brown does with that fruit, as the Carver-Sutro Petites have long been terrific and often spectacular. It’s always fascinating to taste the component wines directly from barrel at Screaming Eagle block by block. Of course, a tasting like this can only provide a cursory overview of a vintage. In 2013, Screaming Eagle vinified more than 40 different lots, so the eight wines I tasted represent just a fraction of the production. I am impressed by the two Merlots, not just by their overall quality, but by how different they are. The first Merlot is bright and punchy, while the second Merlot, from a block rich in iron and gravel, is much more ferrous and aromatically high-toned. Both Cabernet Francs are also super-expressive, but it is the Cabernet Sauvignons that are really singing today. Clone 6 Cabernet Sauvignon stands out for its intense aromatics and depth. The first Clone 7 Cabernet Sauvignon is all about silkiness and perfume, while the second Clone 7 Cabernet Sauvignon boasts extraordinary color, power and richness. The tasting ends with a magnificent See Clone Cabernet Sauvignon harvested on October 2nd, very late within the context of the year. The 2012 Second Flight and Screaming Eagle have just been blended, but even so, they are shaping up to be gorgeous. For more insight on current vintages readers might want to take a look at this video interview with winemaker Nick Gislason shot in October 2013. Philip Togni’s wines are always slow to reveal themselves, but it is undoubtedly fascinating to watch their evolution from baby wines into bottled wines. There are basically two lots in the cellar, A and B, with free-run and press components kept separate. The 2013 barrels all show remarkable depth and concentration, with plenty of black fruit and spice notes supported by the mountain tannins that are such a big part of the signature style here. The 2012 Cabernet Sauvignon, also tasted from barrel, presents a much more red-toned profile, with sweeter spices and silkier tannin vis-à-vis the 2013. Both vintages are going to be fascinating to follow, although I expect to see more intensity from the 2013 when the wines are ultimately bottled. Togni remains a small, family-run operation much like what one might see in Burgundy or Piedmont rather than what is more typical in Napa Valley these days. The focus has always been on handcrafted, artisan wines. It doesn't look like that is going to change anytime soon under Lisa Togni. It’s hard to believe just how far Bruce and Heather Phillips have come in just a few years. Of course, the Phillips family has been supplying grapes to some of the Napa Valleys top wineries for decades, but that is not the same as making wine. Ever since their debut vintage 2008, the Phillipses have quietly but surely staked out a place for themselves among the top producers in Napa Valley. Vineyard guru Mike Wolf and Winemaker Françoise Peschon bring an extraordinary level of passion to Vine Hill Ranch that is evident in every detail. 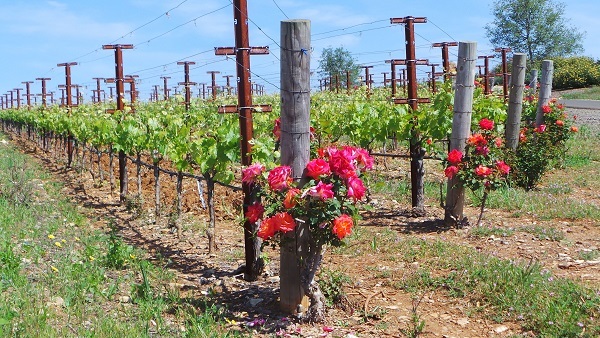 Vine Hill Ranch currently produces just one wine, which is a blend of six separate blocks on the property. The 2013 harvest was a full three weeks ahead of 2012. Peschon opted to leave the wines on their lees as long as possible. The 2013s were racked in March, right after the malos finished. The five blocks of Cabernet Sauvignon in this tasting are all vivid and remarkably different. Block 6L, the single largest component, is drop-dead gorgeous. Petit Verdot has yet to be used in a final blend at Vine Hill Ranch, but the 2013 is beyond beautiful. 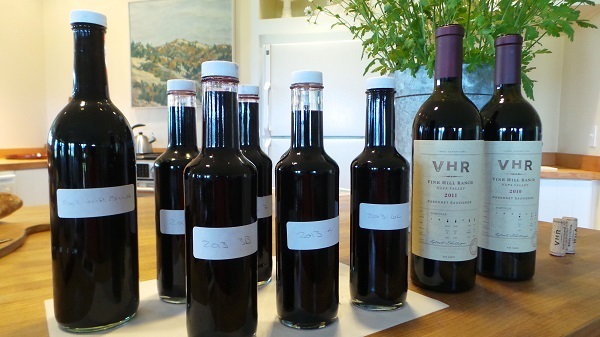 The 2012, tasted just prior to bottling, could turn out to be one of the wines of the vintage. I also had a chance to re-visit the 2010 and 2011 from bottle. Both wines confirm their place among the best wines of their respective years. Readers who haven’t tasted Vine Hill Ranch owe it to themselves to do so. This is without question one of the most exciting properties in Napa Valley today.